During Sunday Worship Service this week, a Black church in Orlando took the daring position of announcing it’s endorsement of the ‘BootStrapping Project.’ The congregation was asked to take out their phones and log into a prerecorded 4 minute presentation. Before worship service begin, the ushers added a page to each member's program with instructions on how to login to the online community announcement update site. Yes, there was a little confusion but overall everything went well. All future weekly presentations will last no longer than 5 minutes and is part of the worship service’s usual announcement period. But, these online announcements are different. They highlight community issues and concerns of the Black people. This week’s launch, is the beginning of the BootStrapping Project designed to help Central Florida’s churches, businesses and the community work together. 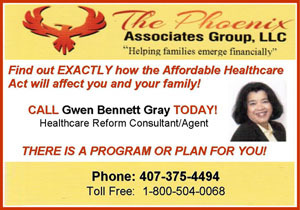 The congregation agrees to support businesses listed in the www.UrbanOrlandoBusiness.com Black business online directory. Bishop Dr. Leonard Holt, Presiding Bishop of the United Fellowship of Community Churches and Ministries, believes that when congregations support local Black businesses, the Black dollars circulate in our community longer, and everyone wins. Over the next few weeks, over 15 local congregations will take an active role in the BootStrapping Project supporting the Black businesses and the community. By some estimates, there are 1500 to 2000 Black churches in Orange County. Imagine what can happen when Black congregations and Black businesses in Central Florida work together. 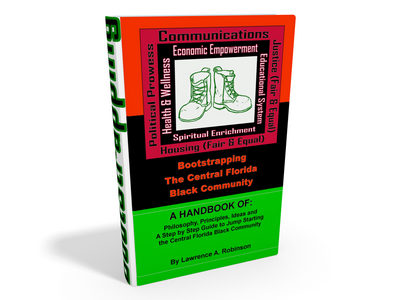 One strategy of the BootStrapping Project is to increase the monthly revenue of 1000 local Black businesses by $1000. Bishop Dr. Holt feels that when our business’s revenue increases, we can hire our own people. This will lower the crime rate in our area by giving our community hope for the future. Businesses in Central Florida should become knowledgeable of the BootStrapping Project. Soon, there will be hundreds of congregations actively supporting businesses that are listed in UrbanOrlandoBusiness.com.